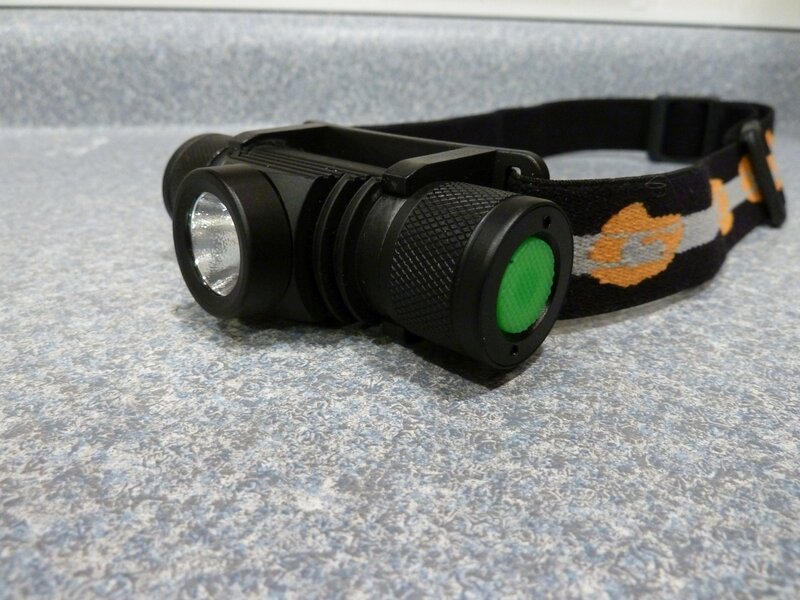 Boruit Headlamp Review (EHL0628) - King of the Budget Headlamps? So I’ve come across this well-liked budget headlamp which I believe to be much better than the well-liked cheap Boruit RJ-02. The only review I am aware of posted on the web is a Russion review found here (translated via Google Translate). 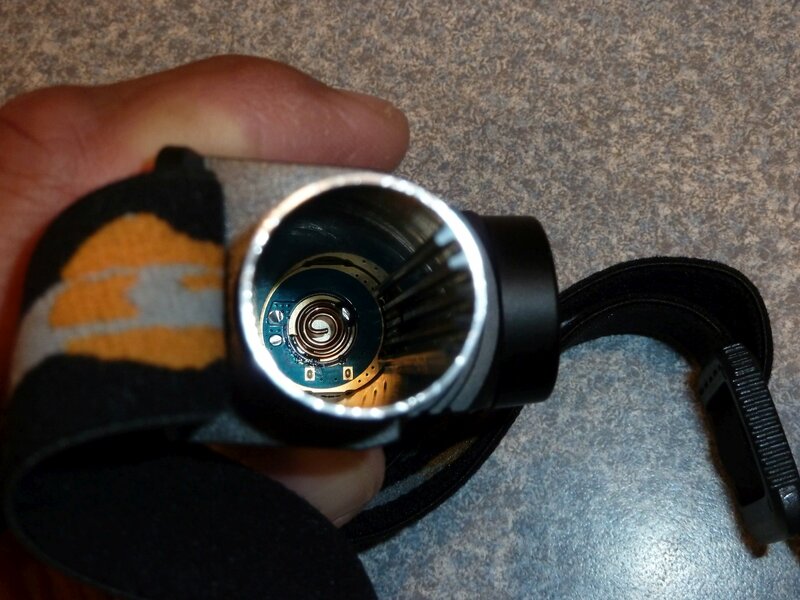 I decided this headlamp deserves its own thread, so here are some pics and a quick review. 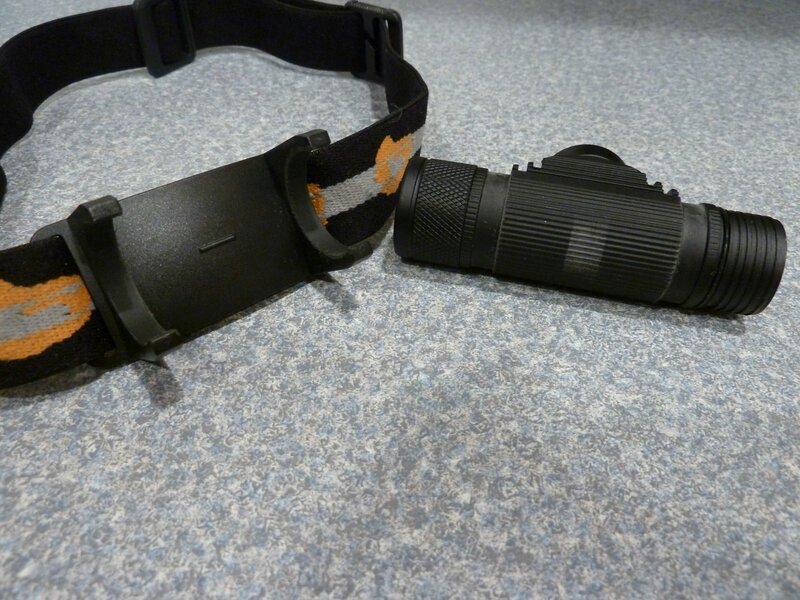 Doing some investigating I came to the conclusion this light is model #EHL0628, as shown in this listing. The light will most likely not come up by searching this model number. 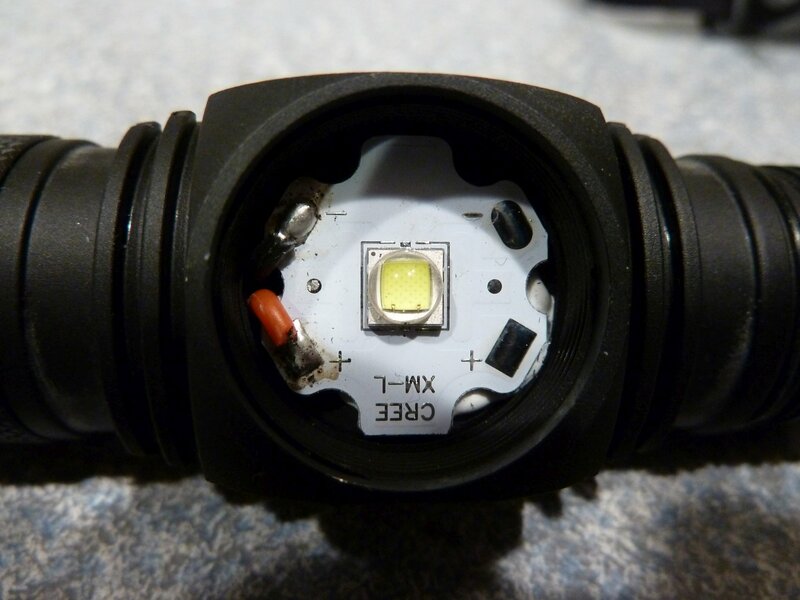 It can be found all overy Ebay or AliExpress by searching “Boruit XM-L2 Headlamp” and weeding through the listings, or I believe this is the link I bought from. Functionality: The light uses a momentary button. Quick press turns on in a medium mode, another quick press changes to high, another quick press turns off. Pausing at medium (longer than about 1 second) and then quick pressing turns it off. Quick double-press from anywhere, a mode level or even off turns on a medium strobe. A quick press returns to the mode the light was in prior to strobe (a mode level or off). Press-n-hold from off does nothing. Press-n-hold from strobe does nothing. Press-n-hold from a mode level triggers a quasi-ramping of 5 output levels starting from whichever mode level you were at (medium or high) and proceeds downward to low then back to high and downward again until you let go. Low is low, not moonlight. (I’ll measure output in my sphere at some point.) The light fit all of my cells from unprotected flat-top laptop pulls to protected button tops (note: I don’t have any extremely long protected cells). There are springs at both the positive and negative ends. 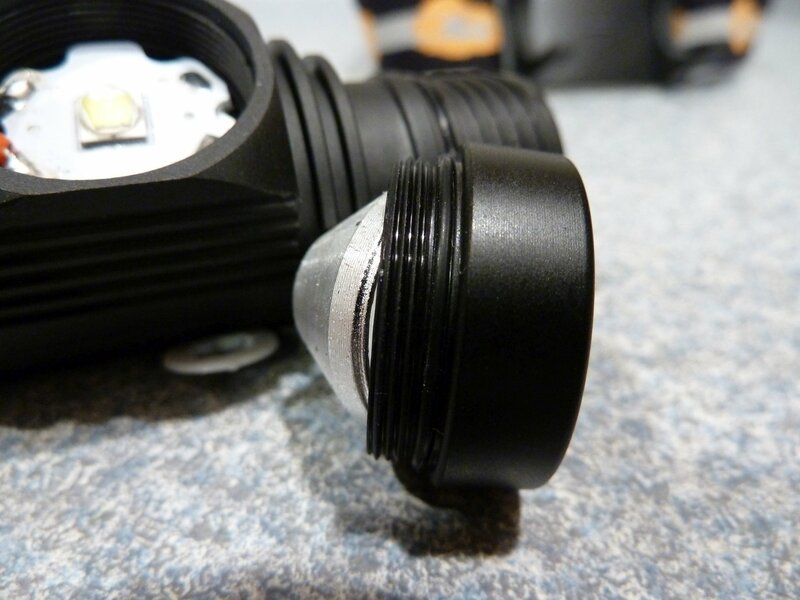 The light can be locked out with a twist of the end cap. Unplugging and replugging in USB triggers red charge light for just a second or two and then green. 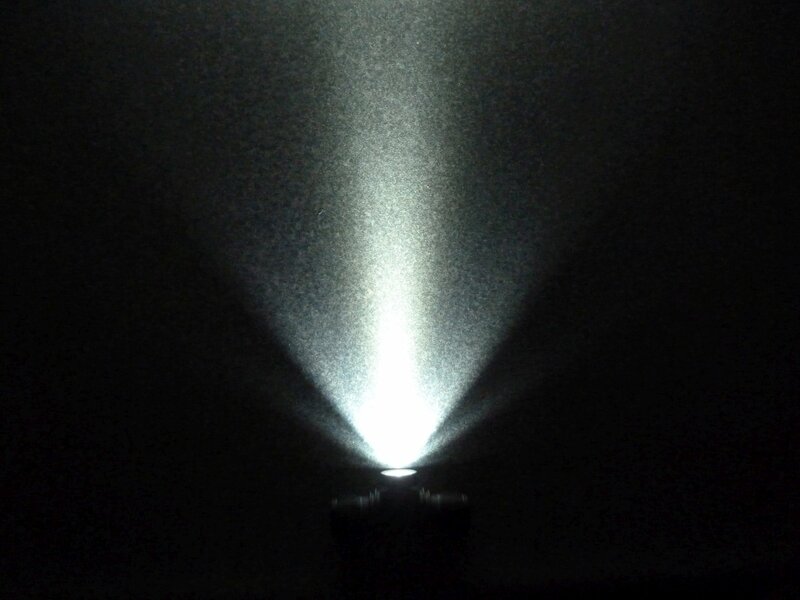 Beam Pattern: To me the light has a very good headlight beam pattern right out of the package as-is. It’s very floody with a hotspot that’s not too intense and blends nicely into the spill. Spill is quite wide. 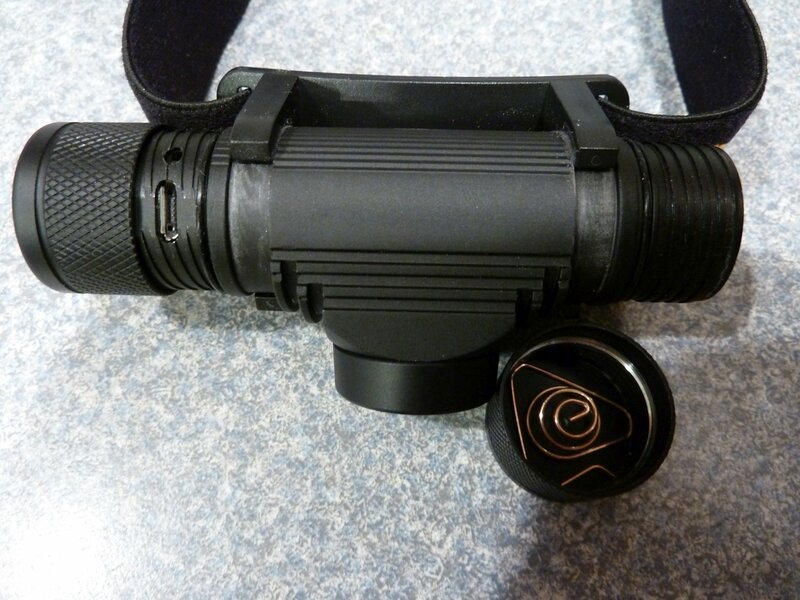 (I’m curious to try a 60º optic in it for comparison.) It has an OP reflector. Reading other’s comments this light should accept the cheap widely available 21mm optics (like from LEDDNA). At 10 feet back from a white wall, I measured the hotspot (again, not a sharp transition from hotspot to spill, so hard to really nail down) at 2 1/2 feet and total spill at 16 feet. The light body is a very very light aluminum. 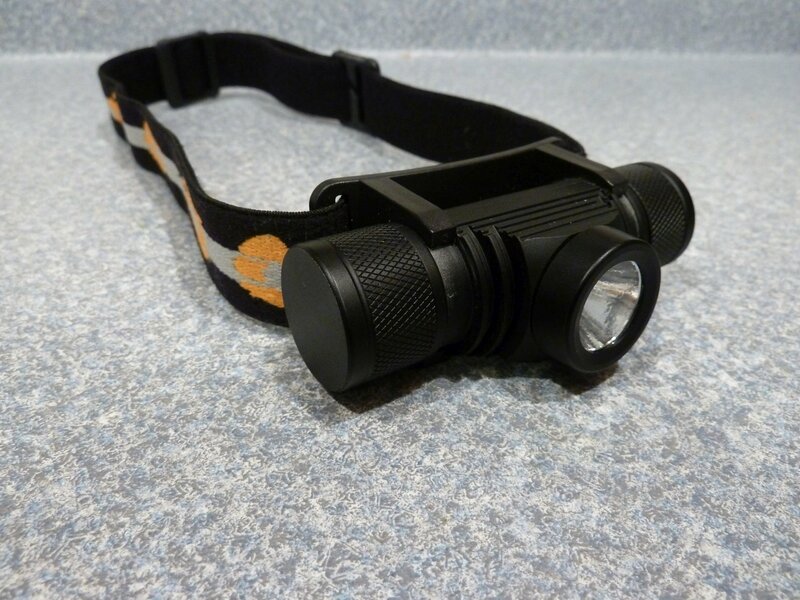 This could be a positive aspect considering it is a headlamp, but it does feel cheap due to it. General fit and finish is very good for this price level. Threads are decent and much better than many cheap lights. 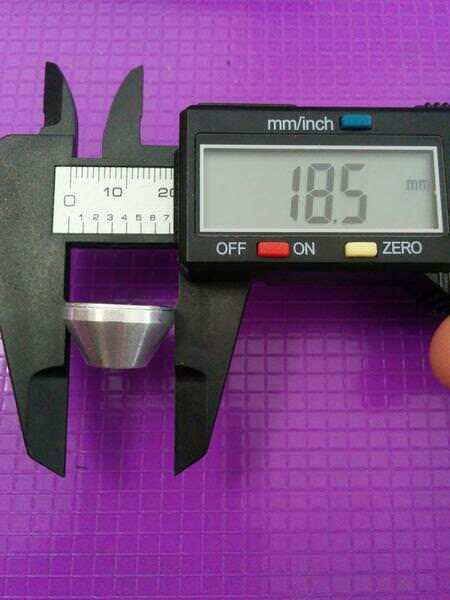 They are shallow square threads and very very course threaded (caps spin on and off very quickly). O-rings are everywhere they are needed (though dry) and I expect the light to be very watertight. Other notes: The lens is glass. The end cap at the driver end (at the power button) is reverse threaded. 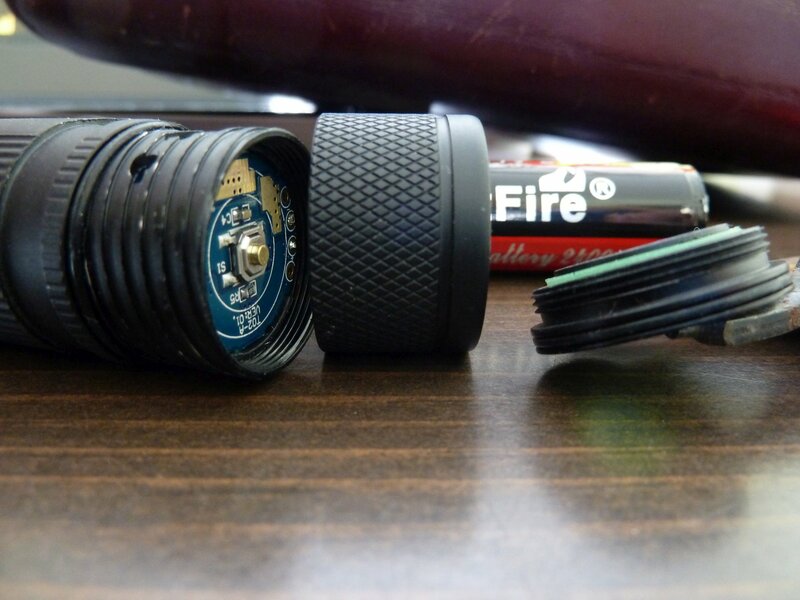 Emitters wires appear to be very short, so be cautious when desoldering and swapping in a new emitter. The headband while missing the 3rd overhead strap works nicely and I don’t notice the need for the 3rd strap. The light tilts in the pastic mount and rubs against a ridge to hold its angle. I expect with careful use it will last for quite awhile. According to my testing (and trying to pull the cell to measure voltage quickly) it seems to trigger 3 slow flashes at 3.00v but keeps running at regular ouput (no stepdown) and I don’t believe it flashes again – just shuts down when it reaches about 2.70v. That shut-off level might be a little low for some cells. What do people generally think of this fake xm-l2? Is it a decent LED? Garry, mind if I add something? I would just add that from strobe, a double click gives SOS, and another double click gives beacon mode. After beacon, a double click goes back to strobe. A single click or press & hold shuts the light OFF. 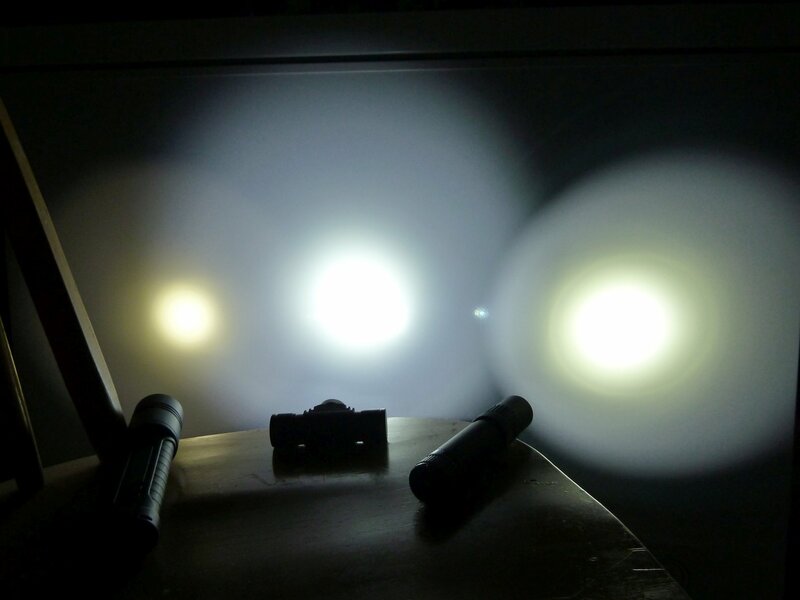 Also, I too some pictures from the LED while ON and this is what we get: the PWM can’t be seen to human eye. 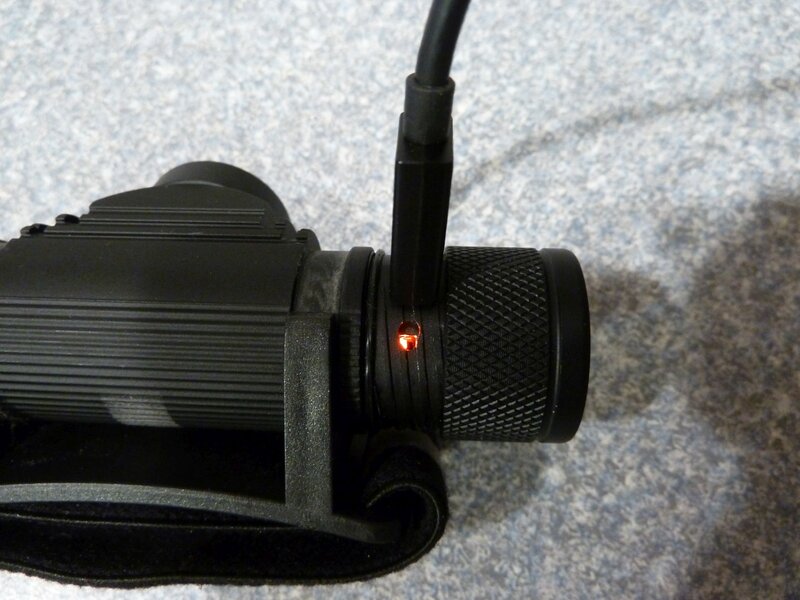 Unlike other statements from other Boruit headlamps, this one doesn’t have visible PWM. Ah, good catch on the SOS and Beacon modes. I don’t think I even tried double-clicking while in strobe. At least these modes and well hidden yet accessible. I forgot to mention about the PWM too; I didn’t notice my camera picking it up at all. 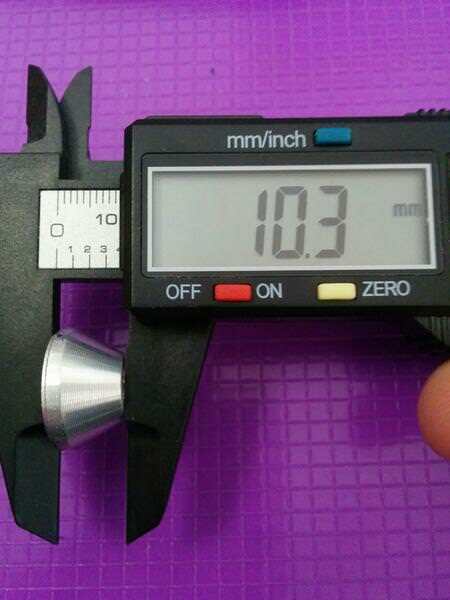 I still want to measure the output of mine in stock form in my DIY sphere before I do any modding. 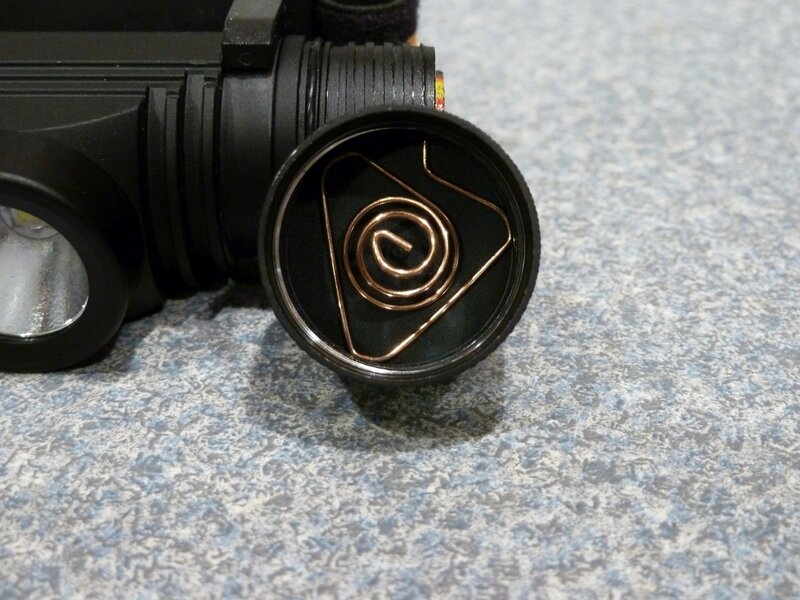 The only “modding” I plan is to try out some optics and swap out the emitter (like I said before, likely a 219C). Do you guys think the 5 levels are enough or do you sometimes wish you could could adjust it in between them? I haven’t not put it to real world use, but they are 5 well-spaced levels. I think they give a good range of output choices. There is no moonlight, but I’m ok with that. I am glad to see that low is as low as they set it. I generally hate when “low” is set to something like 30%! Yup, they are just like that, accessible but hidden They will not interfere with regular modes! I couldn’t try TIR optics as the ones I have (for the S2+) don’t fit. I would have to sand or filled them on the edges and it would ruin them. Maybe others, slimmer, can fit! My opinion is that unless super bright or super low modes are needed, the 5 existing modes are good enough, well spaced and provide good illumination at a “close range” (meaning: I don’t think it will be very powerful if you need good illumination after 20 meters). That should be a size that fits. This one? Did you pop it out of the plastic housing? That should be a size that fits. This one? http://www.mtnelectronics.com/index.php?route=product/product&path=68&pr... Did you pop it out of the plastic housing? Yup, I tried without the plastic holder. Those are too large for this light! They have to be thinner and shorter than those you linked. Hmm, I’d swear it was mentioned in one of the Russian threads (there is another I didn’t link) that it accepts optics and I guess I assumed they were the widely available ones. Those I have don’t fit, but there may be others! 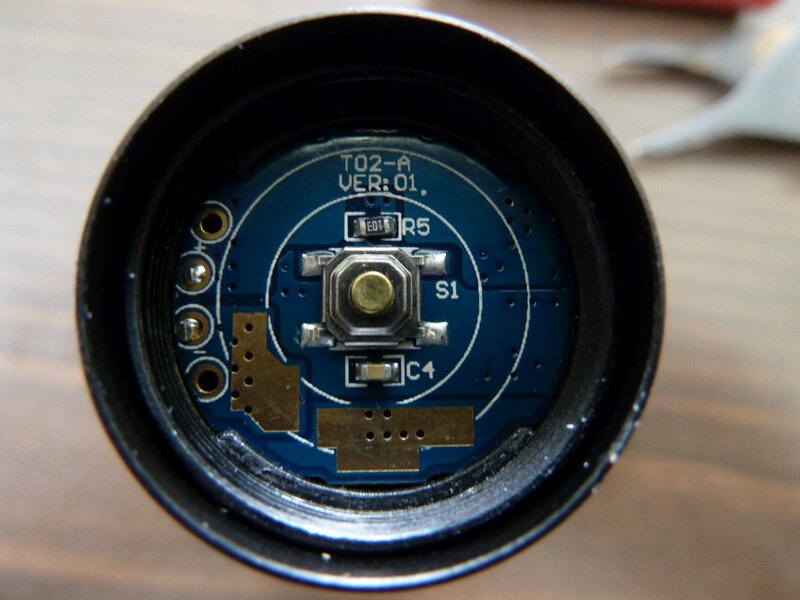 To fit the “bezel” the lenses must be less than 18.8mm, just measured! 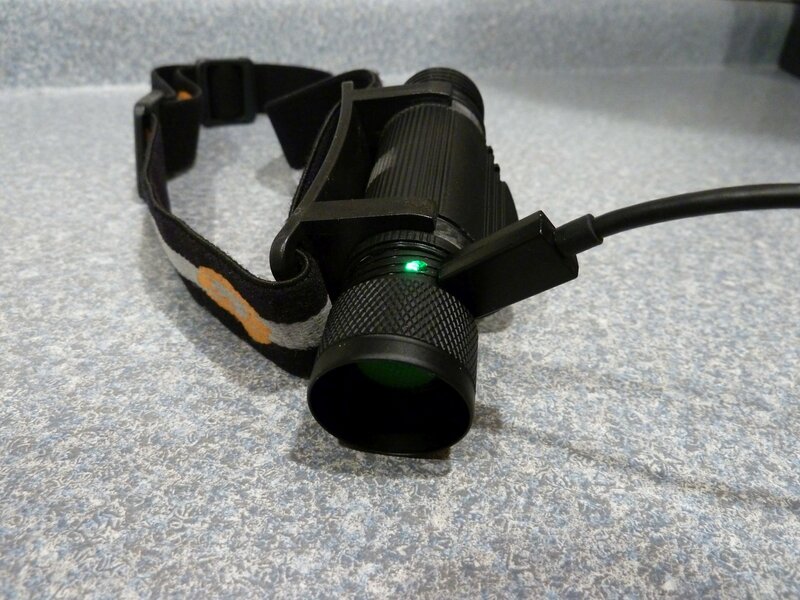 Thanks for the review and PWM evaluation! 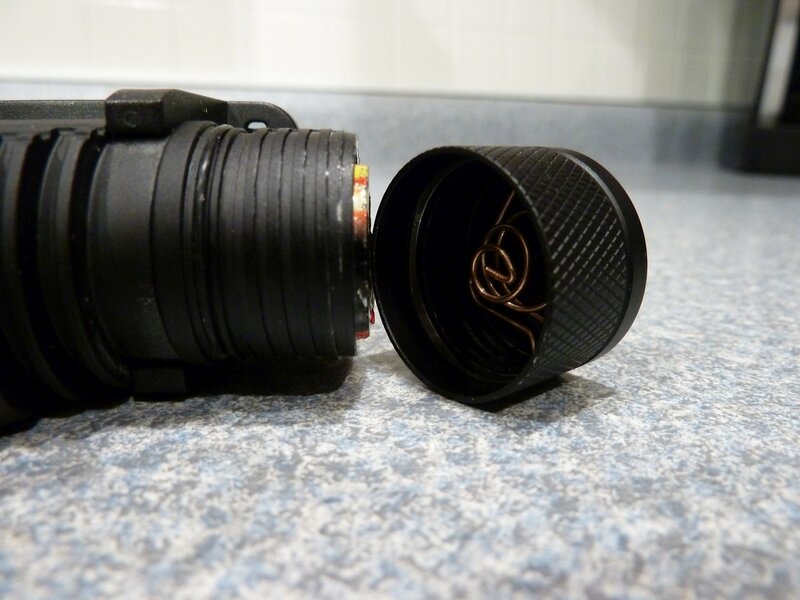 Do not be afraid to cut the lens, you cut off the idle part of the lens and this does not affect the light. 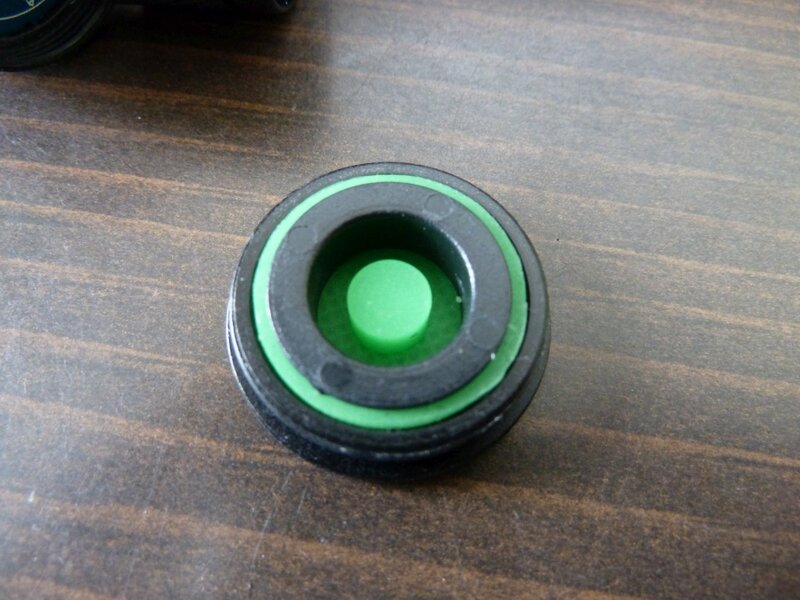 Or you can use TIR 17mm from Skilhunt, it is another good option. One click on, one click off. Press and hold to cycle through 5 brightness levels. Plus hidden strobe, SOS and Beacon using a dbl click. Wildcat, so that the Convoy TIRs fit, you had to cut them, right? Cause the ones I had didn’t fit, but if I file the edges they will probably fit. Unless my headlight has some difference from Garry’s, because it was not bought as “Boruit” but in Shuolide store. I don’t think they differ, but I may be inducing people in mistake… I hope not! I guess the 17mm TIR will fit more easily due to the internal measurements of the bezel!! Why do you say that? One click on, one click off. Press and hold to cycle through 5 brightness levels. Plus hidden strobe, SOS and Beacon using a dbl click. What’s wrong with that? Wildcat, thanks for chiming in on this. Yes, you just need to file the edges that the TIR entered the bezel. 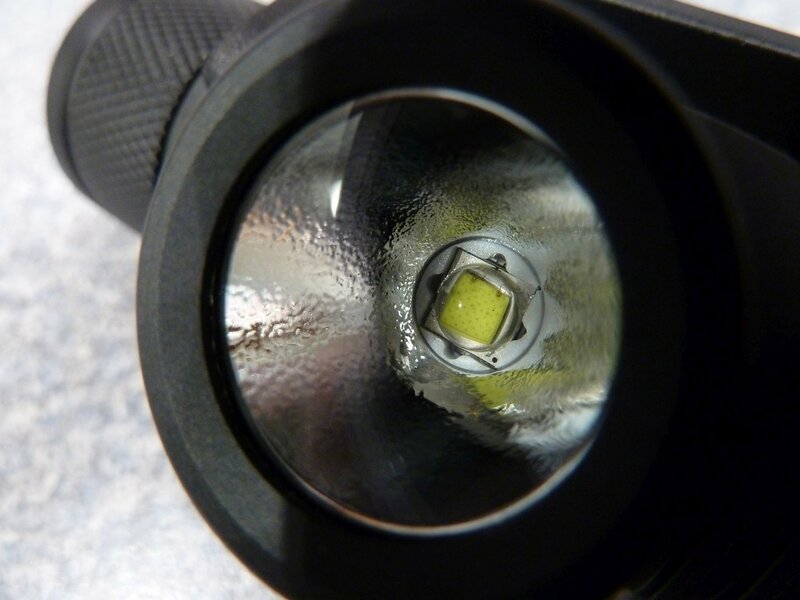 With any 3535 LED (xp-g, xp-l, nichia 219, samsung lh351d) TIR rests directly in the star. It is only necessary to add an o-ring between the TIR and the bezel for tightness. Thanks again Wildcat Gonna test the difference between the TIR and the simple diffuser over the lens to see how it works and then check the one that will fit better on the healight! The Medium > High is only possible in a short time window. If a click isn’t done quickly (within 2 seconds), it will be Medium > OFF. Sorry for the stupid question – are the ramped modes memorised? Do both the modes ramp or just medium/first mode? For example, would it be possible to ramp up on the medium (first mode) to make it higher than the second mode, so it’s essentially high mode first? When you click to turn the light ON, it always starts on Medium. From then on, to ramp, you press and hold, and the output levels always go down: Medium > Lower > Lowest > High > Medium High > Medium. So the only memorized mode is Medium, no mater in what level you turned it OFF! BUT, if you turn it ON and the make a single click from Medium (within 1 second), the level you get is HIGH! And from then on, you can ramp it down in the cycle I mentioned above. Through press & hold, you always go down. Through single click, in that short period, you can go up. Whenever you start to ramp down, if you make a single click (within 1 second), the light will go to High. Always within 1 second. After that period, the light shuts OFF. EDIT: I tested it again and the period is shorter than 2 seconds, maybe 1.5 seconds, but if you want to take it to High right after turning it ON or starting ramping down, it is better to be within +- 1 second! So if you’re using it on level 1 out of 5, the lowest level, and you have to turn it off, it won’t turn back on at the same low setting? So basically, it has no memory. That’s it JasonWW It will always turn ON on Medium! Its too bad some of these lights are getting little complicated for the everyday wife/younger person/regular weekend camper. I can see them remembering the functionality if they use it for a long time and if this is the only light they have, to avoid muscle memory confusion.